French firm Airlab Industrie has unveiled the Lab’elle, an electric scooter that’s both stylish and connected. It’s on sale now priced from €1,595 to €1,695. The Lab’elle has an aluminum frame and a vibration-reducing wooden footplate. The scooter weighs 12kg and can reach speeds of up to 32km/h thanks to its 350W Hub Brushless motor. It promises battery life for up to 35km. The Lab’elle can take a maximum load of 120kg and can travel up slopes with gradients up to 12%. 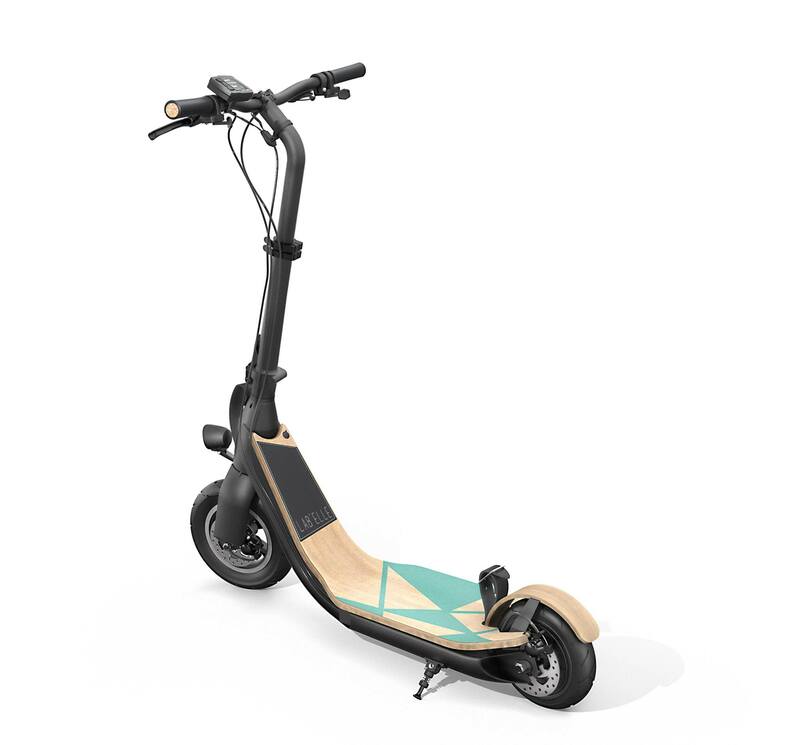 But this scooter really stands out from the competition thanks to its accompanying mobile application, displaying a dashboard for monitoring speed, power use and battery life. The scooter connects to mobile devices over Bluetooth, and has a built-in antitheft alarm. Charging the scooter’s lithium-ion battery takes three to four hours over a mains connection. The Lab’elle also features a solar panel and a regenerative brake on the rear wheel to top up the battery while out and about, keeping riders on the move for longer. A selection of accompanying leather accessories and other add-ons are currently being developed. These should be on sale by the end of 2016.